A virus can be the source of much embarrassment for a business. It can potentially spread via the email addresses found in your company address book and attempt to infect your business contacts. Couple this with the potential for data theft plus internet service loss and you see why many businesses have chosen a solution offered by COMplex Technology to protect them. 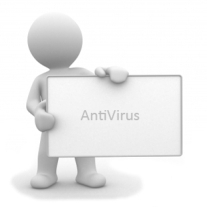 Your business will be supplied with the most appropriate antivirus solution for your needs. A centrally managed antivirus system is typically recommended, one capable of installing antivirus software on any machine that connects to your network. All machines in your company should be managed and updated daily giving you the best possible protection from virus infiltration.